Shepherding the church requires up-to-date knowledge of budgets, insurance, financial management, personnel organization, audits, and legal liability. These responsibilities are complex and ever-changing. While as pastor, you are called to be a faithful steward of the church's resources and an effective planner of its ministries, you need facts and skills to get your job done. This book will help you organize and weave your way through the often complex business of the church. 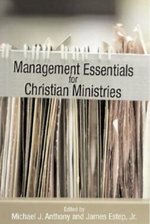 Includes templates, and samples, including Church Staff Review forms, Staff Growth Plans, Offering Tracking Logs, Financial Statements, Property Inventory Worksheets, and Emergency Procedures Worksheets. A report of church financial patterns measures decline in giving in every tradition. From this study comes the basis for positive initiative in stewardship. Blank Slate is a leadership resource with millennials, generation Z, and generation Alpha at the center. This book helps leaders envision and create ministries and faith communities with and for these current and upcoming generations. Old rules of engagement are contrasted with the new rules of engagement. Unless the church addresses the context of younger generations and gets "unstuck" from it's current context, it will not be relevant to younger people and it will die with the older generations. Thank you for all you've done, but I don't want your church. I want you, our relationship, our engagement, but not your church structure and outdated assumptions. Many pastors conceive of the church budget as primarily a financial tool, but in fact it is primarily a pastoral tool. A church's philosophy of ministry is locked into its budget, and so the budget will either stifle or accelerate any attempts to move a congregation toward a biblical model of church health. As such, the church budget is a far more potent pastoral tool than many church leaders realize. Budgeting for a Healthy Church examines each section of the budget in light of Biblical principles to show how a church budget can lock in healthy approaches to ministry. Whereas most books on church budgeting are "how" books, explaining how the budgeting process should work, this is a "what" book, helping church leaders determine the pastoral implications of what they choose to fund in their budgets. In this book Stefan Paas offers thoughtful analysis of reasons and motives for missionary church planting in Europe, and he explores successful and unsuccessful strategies in that post-Christian secularized context. 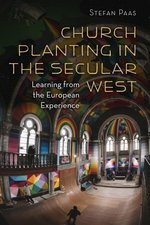 Drawing in part on his own involvement with planting two churches in the Netherlands, Paas explores confessional motives, growth motives, and innovation motives for church planting in Europe, tracing them back to different traditions and reflecting on them from theological and empirical perspectives. He presents examples from the European context and offers sound advice for improving existing missional practices. Paas also draws out lessons for North America in a chapter coauthored with Darrell Guder and John Franke. Finally, Paas weaves together the various threads in the book with a theological defense of church planting. Presenting new research as it does, this critical missiological perspective will add significantly to a fuller understanding of church planting in our contemporary context. This volume helps leaders and leaders-in-training become students of culture who can then contextualize what they learn for their own organizational settings. Douglas McConnell, a respected leader in the worlds of missiology and higher education, enables readers to understand intercultural dynamics so they can shape their organizational cultures and lead their organizations in a missional direction. This is the latest volume in an award-winning series emphasizing mission as partnership with Christians around the globe. Many evangelical churches face the problem of the open "back door"--even as new people arrive, older members are leaving, looking for something else. Combined with this problem is the discipleship deficit, the difficult truth that most evangelicals are not reaching the unchurched at the rates they think they are. In fact, many of the metrics that we often "count" in the church to highlight success really don't tell us the full story of a church's spiritual state. Things like attendance, decisions, dollars, and experiences can tell us something about a church, but not everything. To cultivate a spiritually healthy church we need a shift in our metrics--a "grace-shift" that prioritizes the work of God in the lives of people over numbers and dollars. Are people growing in their esteem for Jesus? Is there a dogged devotion to the Bible as the ultimate authority for life? Is there a growing interest in theology and doctrine? A discernible spirit of repentance? And perhaps most importantly, is there evident love for God and for our neighbors in the congregation? Leading a church culture to shift from numerical success to the metrics of grace can be costly, but leaders who have conviction, courage, and commitment can lead while avoiding some of the landmines that often destroy churches. Wilson includes diagnostic questions that will help leaders measure--and lead team transparency in measuring as a group--the relative spiritual health of their church, as well as a practical prescriptive plan for implementing this metric-measuring strategy without becoming legalistic. Most attractional church models can lean heavily on making changes to the weekend worship gatherings. And while some of these changes can be good, thriving grace-focused churches are driven by a commitment to the gospel, allowing the gospel to inform and shape the worship service and the various ministries of the church. 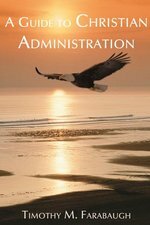 If you are a clergyperson who has a church staff or a Christian who supervises others in a business, this book is one that will explain the "servant leadership" model of administration and give examples of how it can be employed. 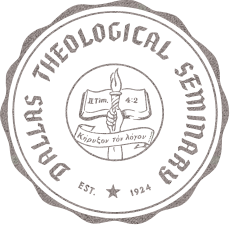 "Servant Leadership" turns the normal pyramid of administration with the CEO in the top, upside-down and has the supervisor on the bottom teaching, directing, and providing resources for those he/she supervises Whether you are new to management or have done it for twenty years, reading about this method of leadership will inspire and challenge you to be a better supervisor who is able to achieve better results by empowering those you lead. Belongs on every pastor's desk, as the church is not exempt from the growing number of lawsuits filed each year. 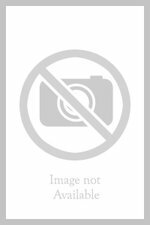 The authors are clergy as well as members of the bar. A 1995 Recommended Resource (Your Church magazine).